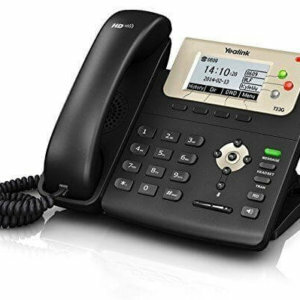 The Yealink W56H is not a stand-alone phone. It requires a Yealink W52H base station to provide network and communications connectivity. 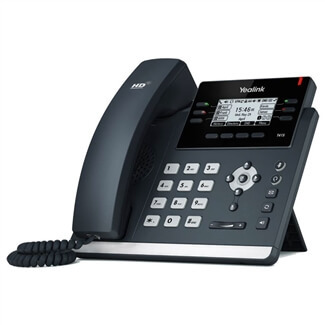 The Yealink W56H expansion handset enables workspaces with mobile VoIP communication. The handset that uses the secure DECT protocol, has a bright 240 x 320 pixel color LCD, and a simple to operate interface. 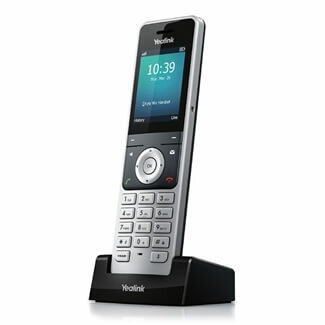 Get up to 30 hours of talk time or 400 hours of standby time with this wireless handset. 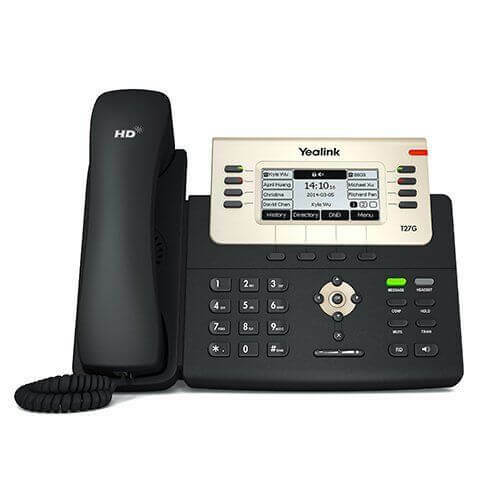 With advanced sound including wideband audio and enhancements like acoustic echo cancellation, Yealink’s handset is designed for the offices of today. The Yealink W56H includes a full-duplex speakerphone and a 3.5 mm headset jack for hands-free talking. Each handset can handle 2 simultaneous calls. It has a wandering range of up to 50 meters indoors or 300 meters outdoors. It charges via the included charging station or via USB. Up to 5 W56H handsets can be linked using the W52H base station.